Cliff Richard & The Shadows 60th Anniversary Tribute Concert ,This is a tribute concert not to be missed. 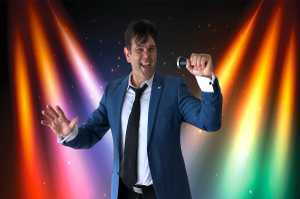 Cliff Richard & The Shadows 60th Anniversary Tribute Show is a concert event that delivers a captivating live performance recreating the unforgettable sound of Cliff Richard & The Shadows . Performing all the classic hits including ‘Do You Want To Dance’,’Singing The Blues’,’Move It’,‘Lucky Lips’,’Summer Holiday’,‘Bachelor Boy’,‘The Young Ones’,‘Living Doll’,‘Congratulations’,Also including legendary instrumentals from The Shadows including’Apache’,’Wonderful Land’,’FBI’,’Atlantis’,’SleepWalk’ amongst many more with a mix of Cliff Richard Solo Hits,’Devil Woman’,’Wired For Sound’,’We Don’t Talk Anymore’,’Some People’,‘Wired For Sound’ Plus ‘Dreamin’ This is a tribute concert not to be missed.